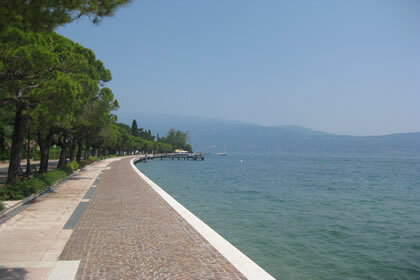 Toscolano Maderno hotels: 24 properties. 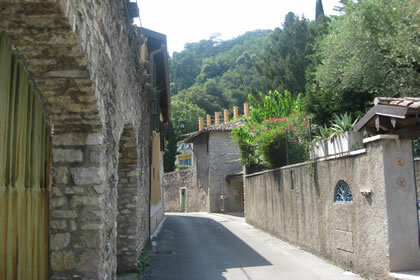 In the valley of Cartiere the remains of old mills, which construction of began since 1300, testify to the intensive production and trade of paper which developed in Toscolano. 61 paper factories were set up alongside each other along the banks of the river, creating one of the largest and most important centers of Italy. After 600 years of hard work the new technologies coming, the intense competition and the price of paper collapse meant the end of an era and a gradual abandonment of the valley. 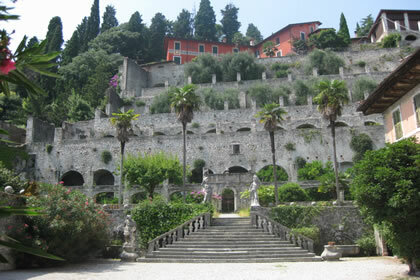 Today the entire area, which is part of the Alto Garda Bresciano Natural Park, is subject to major restoration and preservation works in order to enhance this wonderful open-air museum. 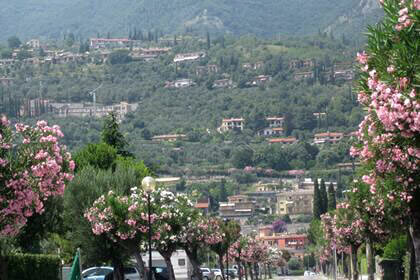 Tourist activity begins in the second half of 1800 and joins the paper mills, the cultivation of olives, citrus and peach. 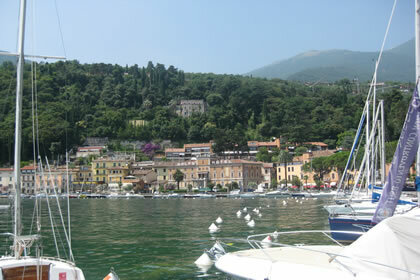 Once Toscolano and Maderno have been separated, they form a single municipality since 1928. 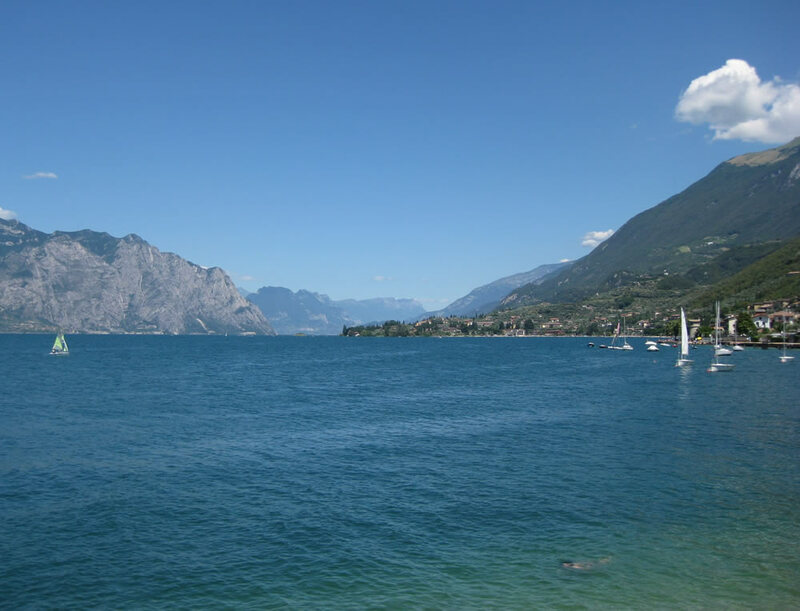 Both of them arose on the fan of the Toscolano river and remain geographically separated from the now dry bed of the river, where its water scarcity is due to the Valvestino's dam that has blocked the river's course. 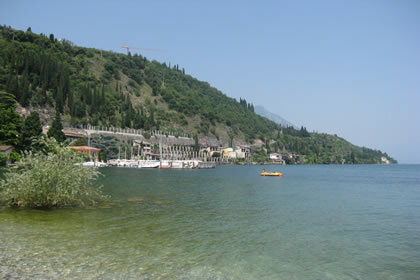 Pizzocolo mountain, from its 1582 m in height, sees this land throwing itself into the lake. 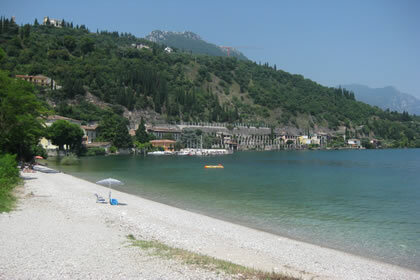 Its picturesque surroundings, the historic center, the beautiful lake, the bay of Maderno and the beach that looks like the beaches of the sea meet the needs of every kind of visitor. Cartiere valley, church S.S. Pietro e Paolo, San Giovanni Church, Church of Sant 'Andrea, Church and sanctuary of Madonna del Benaco. 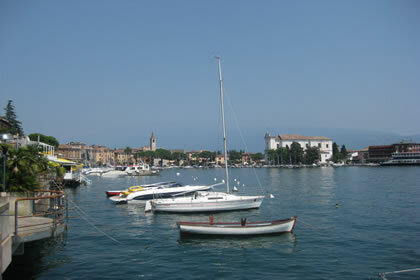 April and May: Garda with taste, food and wine review. 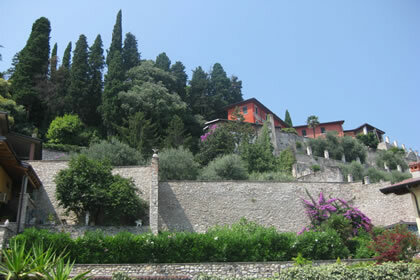 May: The eco-museum tells itself, guided tours. 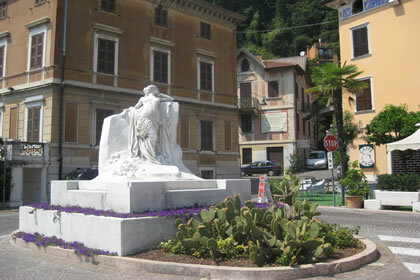 June: Feast of Alpini, gastronomy event. 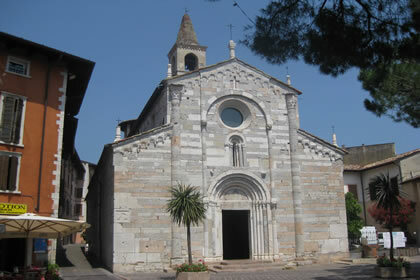 June: Fair S.S. Pietro e Paolo. 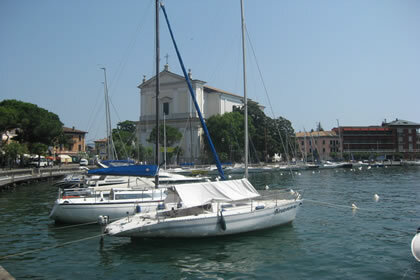 June and July: White Night in Maderno and Toscolano. July: Rockerellando, music und gastronomy. 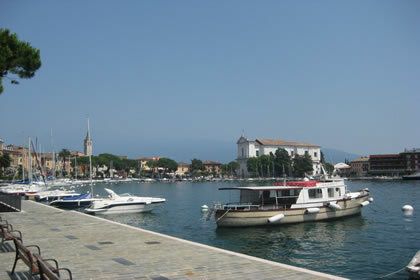 July and august: Week of Art in Cecina, in the center of excellence. August: Feast of the harbor and fireworks. September: walk with food and wine tastings in Gaino. Windsurfing, Kitesurfing, sailing, canoeing, diving, water skiing, canyoning, mountain biking, cycling, trekking, north walking, paragliding, beach volley, riding, tennis, golf.